All of the Bungee Cord, we supply has been independently tested. The indicative maximum load bearing for each of the elasticated stretch cord is listed below along with a few suggestions as to possible uses of each size and diameter. All of these various elastic ropes can be used with any of the Groundsheets/Tarpaulins we supply. 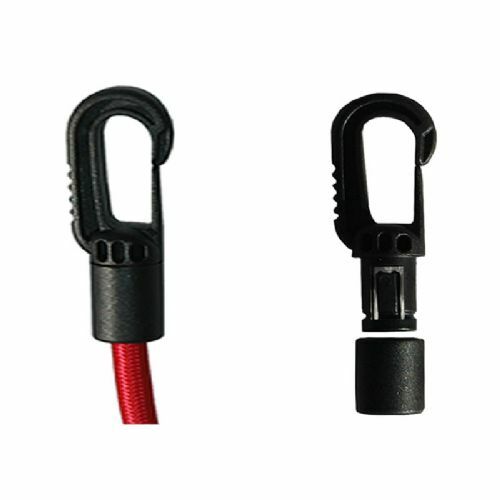 The 6mm and 8mm diameter shock cord is suitable to be used with our range of heavy duty hook ends. Typically used for with Roof Racks, Trailers,Surf Board, Canoe, Kayaks, Bikes, Luggage, Tent Poles, Light Weight Groundsheets/Tarpaulins, Garden Furniture, Garage Tools, etc.,. Ideal in aiding the securing of most Standard Groundsheets and Tarpaulins in normal use and conditions. Used on Boats, Caravans, Trailers, Motorbikes, etc.,. Many other uses indoors and outdoors. Recommended for securing Heavy Duty Groundsheets and Tarpaulins where extra strength and peace of mind is required . Heavy duty bungee cord has many other uses indoors and outdoors where the higher tensile strength is preferred.